Ships today if you order in the next 14 hours 44 minutes. 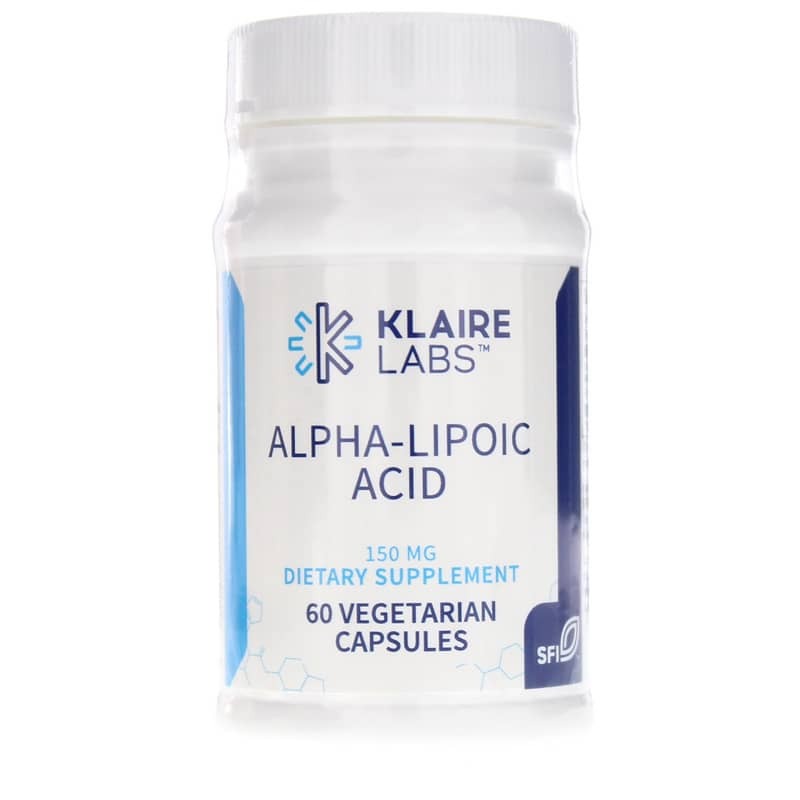 Alpha Lipoic Acid by Klaire Labs is a natural antioxidant supplement that supports liver detoxification. Alpha Lipoic Acid is a vitamin-like nutrient that helps neutralize free radicals by enhancing and restoring other antioxidants, such as vitamins C and E, and glutathione. Both water- and fat-soluble, it is necessary for proper conversion of calories to energy. 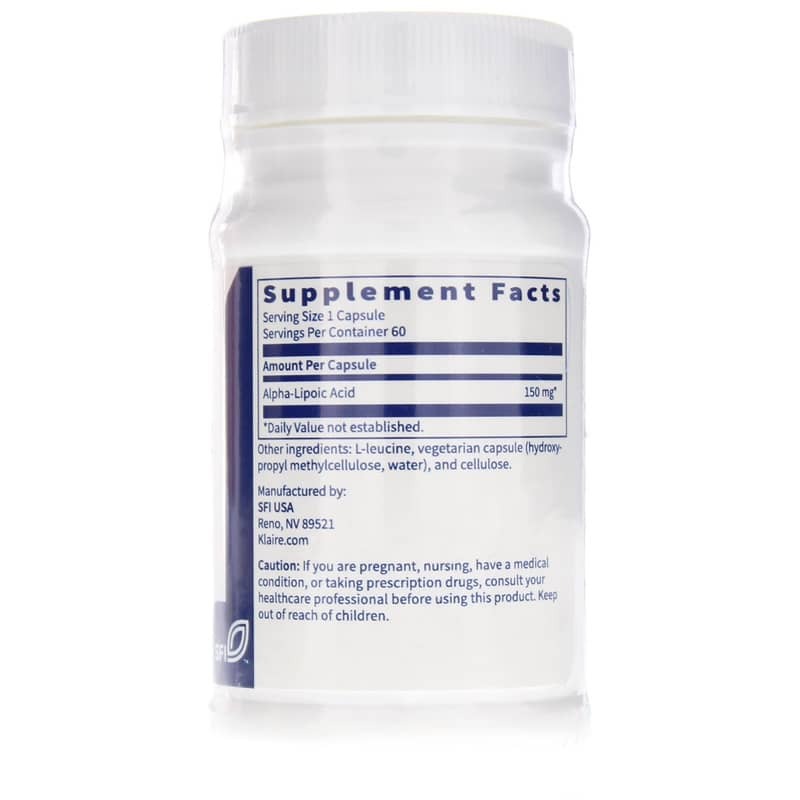 Alpha lipoic acid supports the liver in its detoxification efforts, thus helping to protect tissues against damage by excessive iron or copper, or toxic heavy metals such as arsenic, cadmium, lead, and mercury. 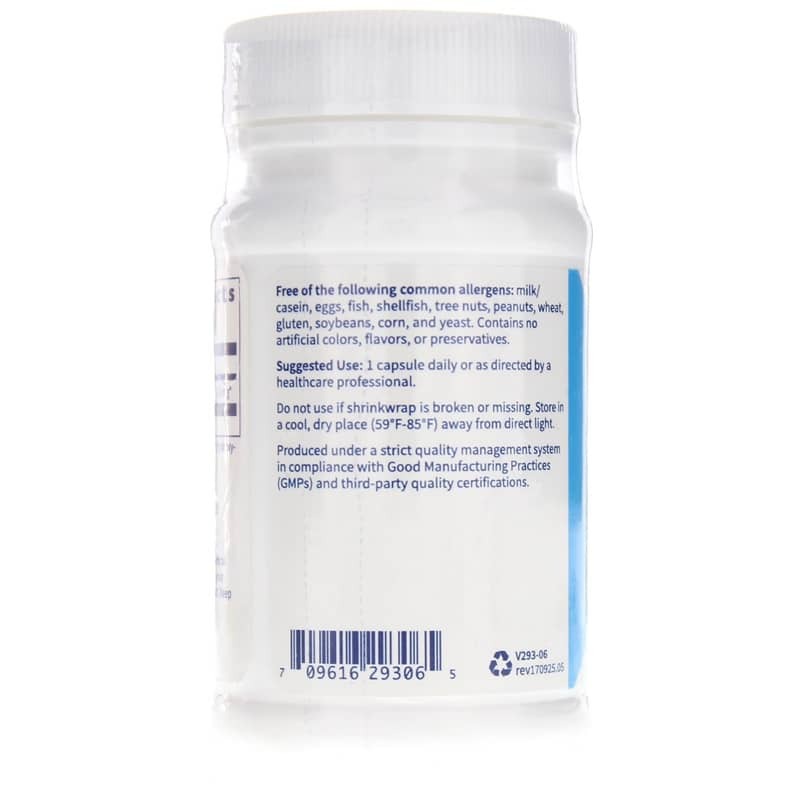 Other Ingredients: L-leucine, vegetarian capsule (hydroxypropyl methylcellulose, water), and cellulose. Adults: Take 1 capsule daily or as directed by a physician.